Asiad Steels is one of the recognized manufacturers of ASTM A479 Super Duplex Stainless Steel UNS S32750 Stud Bolts, which is a super duplex alloy by means of having a 50/50 ratio of ferrite and austenite microstructure. 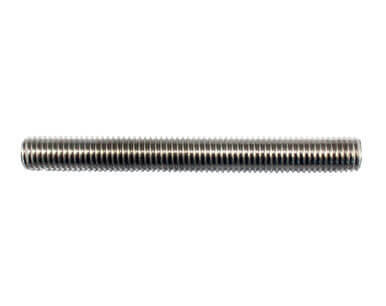 ASME SA 479 Super Duplex UNS S32750 Threaded Rods is generally used in offshore podiums, Oil & gas industry machinery, heat exchangers, service water and process systems, ballast water and injection systems, fire-fighting systems, heat exchangers, Chemical process industries, vessels, piping, etc. ASTM A479 Super Duplex UNS S32750 Double Ended Studs has excellent workability and weldability, higher resistance to chloride crevice and pitting corrosion, and excellent general corrosion resistance. The low content of carbon significantly depresses the jeopardy of carbide precipitation at the grain boundaries in the course of heat conduct, and for that reason, ASME SA 479 Super Duplex UNS S32750 Tie Rods is extremely resistant to carbide-associated inter-granular corrosion. ASTM A479 Super Duplex UNS S32750 Tie Rods has a superior chromium and molybdenum content that offers the material with superior corrosion resistance than usual duplex grades. 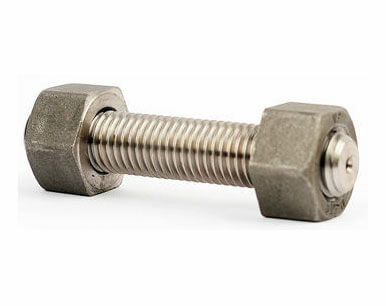 Meanwhile, ASME SA 479 Super Duplex UNS S32750 Threaded Bars can be mutually hot and cold formed. ASTM A479 Super Duplex UNS S32750 Threaded Rods features elevated resistance to chloride-rich and pitting corrosion atmospheres. 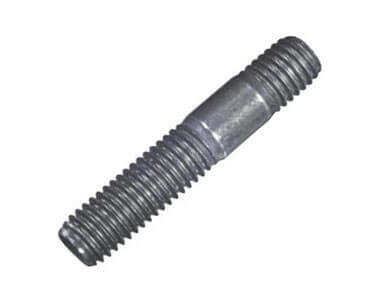 ASME SA 479 Super Duplex Din 1.441 Stud Bolts has outstanding corrosion resistance to an extensive range of media, by means of having an exceptional resistance to crevice and pitting corrosion in seawater and other chloride comprising atmospheres because of its high molybdenum, nitrogen and chromium level, through acute Pitting temp beyond 50 Deg C. Buy Super Duplex Stainless Steel Stud Bolts in leading market price from us. We are Exporter of ASTM A479 Super Duplex Steel Studbolt in Worldwide Such as India, Romania, Israel, Sri Lanka, Italy, Nigeria, Mexico, Bolivia, Mexico, Namibia, Portugal, Estonia, Angola, Austria, Belgium, Greece, Morocco, Czech Republic, Gambia, Colombia, Puerto Rico, Australia, Algeria, Indonesia, Egypt, France, Vietnam, Azerbaijan, Croatia, Zimbabwe, Poland, Ukraine, Peru, Iran, Germany, South Africa, United States, United Arab Emirates, Ireland, Argentina, Sweden, Lithuania, Kenya, Ghana, Nigeria, Bhutan, Macau, China, Venezuela, India, Finland, Chile, Norway, Saudi Arabia, Serbia, Iraq, Costa Rica, Kazakhstan, New Zealand, Pakistan, Philippines, Denmark, Hungary, Bangladesh, Iran, Mongolia, Russia, Afghanistan, Trinidad & Tobago,Tunisia, Tibet, Switzerland, Lebanon, United Kingdom, Slovakia, Taiwan, Chile, Poland, Singapore, Spain, Malaysia, Qatar, Thailand, Brazil, Bahrain, Ecuador, Hong Kong, Turkey, Nepal, Jordan, Belarus, Japan, Kuwait, Libya, Canada, Oman, South Korea, Bulgaria, Yemen, Gabon, Netherlands.